A new gym is opening in the southtowns to help kids with sensory processing disorders like autism grow and learn. For two and a half year-old Odin Green, finding places for him to play can be a struggle. So his mom, Elida, drove two hours to bring him and his sister to the “We Rock The Spectrum” kids gym in Derby.She said, “He is amazing and he needs a place where he can just be himself.” At the gym, Odin can play and Elida doesn’t have to worry. “We always apologize and we pack up after 10 minutes every where we go, because he’s upset and it’s too much for him. This is literally his occupational therapy. This is what he loves, and now I have to buy more toys,” she said. The gym has 31 locations in 10 different states. CEO, Dina Kimmel whose own son has autism, started it 5 years ago. She says 1 out of 5 kids are affected by a sensory processing disorder and says the gym is needed for those kids to grow. “It’s all occupational therapy-based equipment. 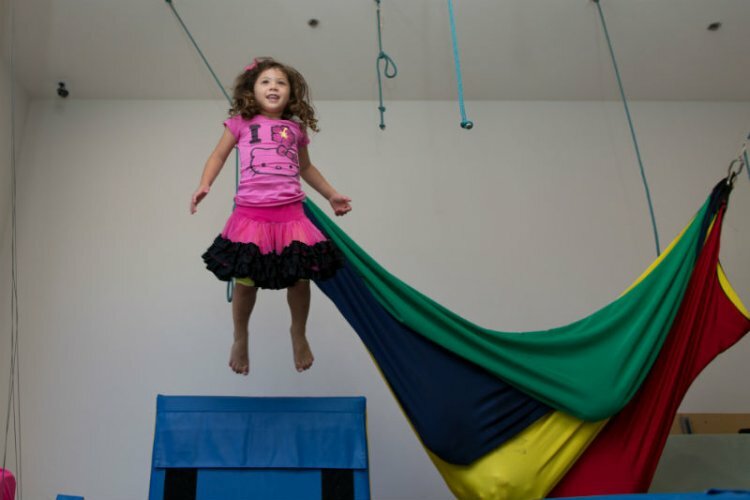 It’s called a sensory gym so it works on the different parts of the body. For an autistic child, they need that to thrive,” Kimmel said. The gym is open to kids of all ages. Open Play Time is offered daily at $12 per child. Siblings will be discounted to $10. All Day Passes are $20.